The ADS7852 is an 8-channel, 12-bit Analog-to-Digital (A/D) converter complete with sample-and-hold, internal 2.5V reference and a full 12-bit parallel output interface. Typical power dissipation is 13mW at at 500kHz throughput rate. The ADS7852 features both a nap mode and a sleep mode, further reducing the power consumption to 2mW. The input range is from 0V to twice the reference voltage. 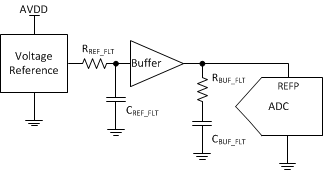 The reference voltage can be overdriven by an external voltage. The ADS7852 is ideal for multi-channel applications where low power and small size are critical. Medical instrumentation, high-speed data acquisition and laboratory equipment are just a few of the applications that would take advantage of the special features offered by the ADS7852. The ADS7852 is available in an TQFP-32 package and is fully specified and guaranteed over the 40°C to +85°C temperature range.